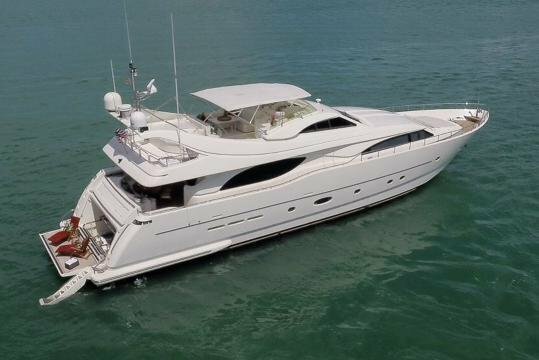 Ferretti Yachts 940 features an unparalleled livability. 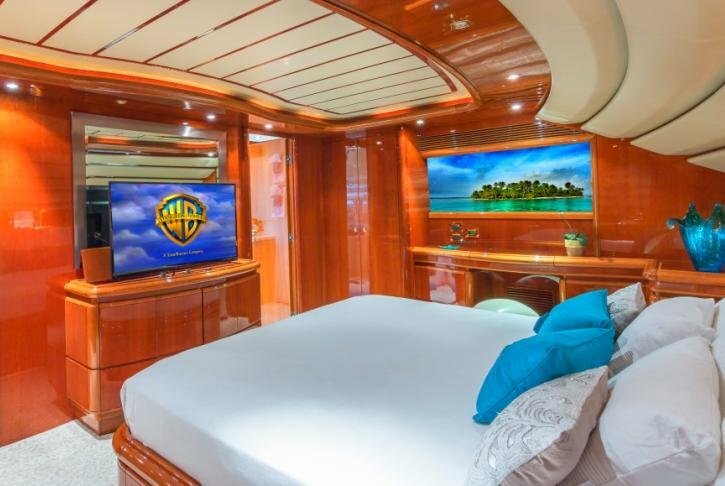 It is the first yacht of the brand with four VIP cabins on the lower deck each equipped , with its own en-suite facility, enormous glazing for natural light and portholes for ventilation. 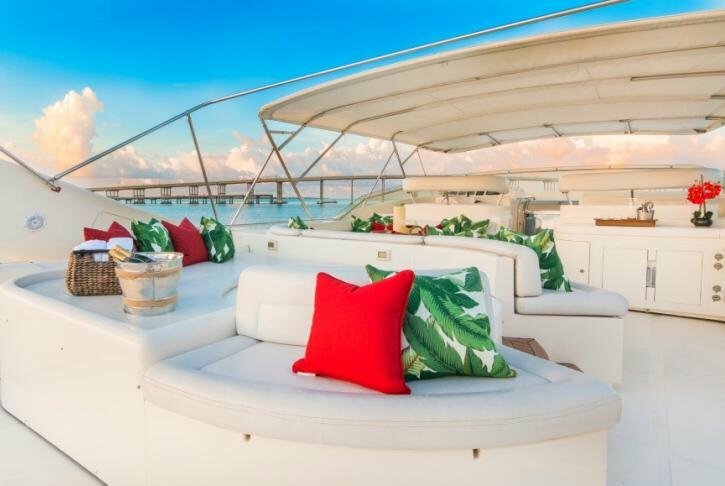 The vessel offers numerous solutions and attributes which usually are reserved for vessels over 100’ including 3 crew cabins of which 1 is exclusively for the captain as well as a separate access to the crew quarters directly from the galley. 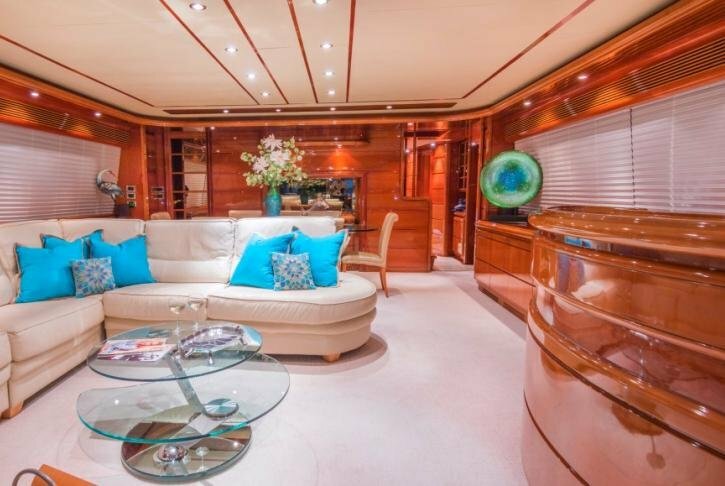 The flybridge at the stern area are entirely devoted to leisure. 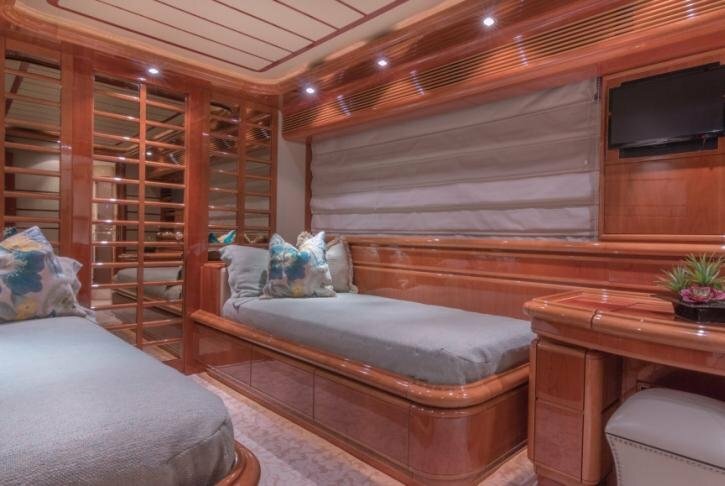 The garage door is fitted with cushions, while the bathing platform can be immersed in the water to allow for the launching of the tender or jetski in just a matter of minutes from the garage.